The In Stereo boys are one of the hardest working pop acts in Australia. And in part one of their video interview series with Brad, you’ll get a sense of just how hungry they are to make things happen on the national – and international – stage. In Stereo are arguably Australia’s biggest boy band right now. After building a fanbase from stints on ‘The Voice Kids’ and ‘The X Factor’, Jakob, Chris and Ethan have already released three EPs in the last 18 months. The second, the ‘Speed of Sound’ EP, peaked at No.3 on the ARIA Albums Chart. In support of their latest release, the ‘Day In, Day Out’ EP, the boys are heading out on tour later this month for shows in Melbourne, Brisbane and Perth. Get to know In Stereo a little better in our four part series! In part one below, Brad asks the boys about the fun day of filming at Sydney’s Luna Park for their poppy single ‘Girlfriend’. They also talk about how the band was formed and reveal that most of their debut EP had already been penned before they decided to go on ‘The X Factor’. 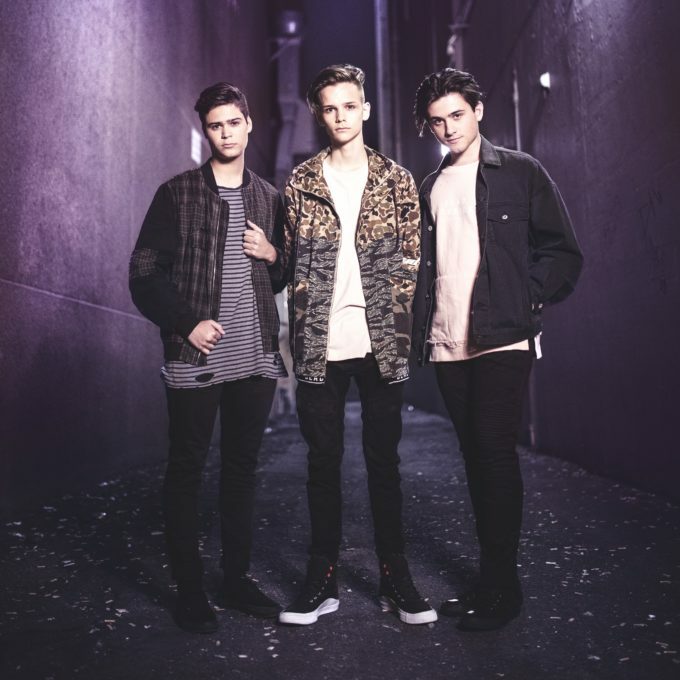 They also talk about their relationship with James Yammouni (of The Janoskians fame), getting involved with the creative process on their latest EP and, through Brad’s digging, they hint that there maybe something special happening for their track ‘Bad For Me’. In part two, the boys play a game of ‘Who Knows Chris Better?’ (This is decided after a game of Scissors Paper Rock at the end of the video above). If you enjoyed this video please give it a ‘thumbs up’ and subscribe to us on YouTube.